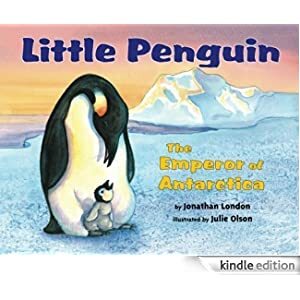 From the time the little penguin crawls out of his cracked egg, cradled on his father’s feet, until the day when he goes off to live at sea alone, he is a majestic figure in an extraordinary setting—the emperor of Antarctica. He faces natural predators and the struggles of survival in a challenging climate. Then one day, he cradles his own little penguin on his feet. This book is for ages 4-8 and is selling for just 99 cents today.